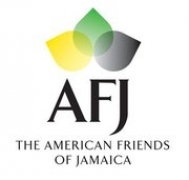 The American Friends of Jamaica Inc. exists to support the efforts of local non-governmental organizations that provide this assistance to Jamaicans in need. We are a charitable 501(c)(3) organization built on the principles of service and philanthropy; and have been established to render assistance in the areas of education, health, and economic development. All donations to the AFJ are tax deductible to the full extent of the law.